The heat is everywhere, and hopefully we can carry this to the windows. Every Saturday at Belmont you can play the guaranteed late pick-four. It begins with race #7, and be sure to get your EZ Win Forms to uncover your hidden value. #2 – Adirondack Dancer = Eddie Castro and Linda Rice get an extra 1/16th of a mile to run at today. #8 – Wild Exploit = J.J Castellano in the irons, and that is a very good thing. #9 – Western Tryst = Jose Lezcano in the irons, and he really knows the greensward. #11 – Carbon County = Dominguez and Hushion team up on a second-off-the-shelf runner. #1 – Agave Kiss = Dominguez draws the rail with this speed demon. #5 – Gypsy Robin = Synthetic to dirt angle applies, and this runner loves a hot pace ! #1 & 1A – Stay Thirsty and Caixa Electronica for Team Pletcher. #3 – Buffum = 3/3 ITM at Belmont, and exits an impressive win. #6 – Mucho Macho Man = Mike Smith is in town… Need I say more ?? 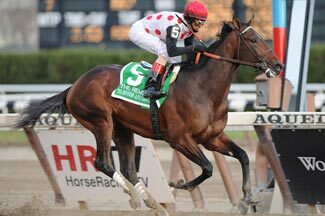 #7 – To Honor and Serve = Loves the track, and is 5/5 ITM at the distance. #1 -Fisherman’s Wharf = 2nd off the claim, and the trainer wins 27% with turf sprints. #9 – Count Catamount = Irad Ortiz up for red-hot Rudy Rodriguez. Ticket cost = 2,8,9,11 = 1,5 = 1,3,6,7 = 1, 9 = $64 for a $1 ticket, and $32 for a 50-cent version. Best of luck, and may we find the ” Racing Gods” smiling on our wagers !